The term “Probate” is most commonly understood as the formal legal process that gives recognition to the decedent’s Last Will and Testament. The Court approves the appointment of an executor or administrator who will be responsible to administer the estate and distribute assets to the intended beneficiaries. The Court oversees this process as required under Ohio law. 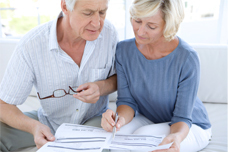 Acting as an executor or administrator can be one of the most important tasks you undertake for your family or friends. Good legal advice is necessary for you to understand your responsibilities and follow the procedures required to complete the estate in an efficient and cost effective manner without unnecessary delays. Probate of an estate where there is no Last Will and Testament (intestate). Testamentary Trusts: serving as a trustee named in a Will on a continuing basis during the term of the trust. Guardianship of an incompetent person who needs protection due to incapacity. Conservatorship of a competent person who has physical incapacity. Involuntary Commitments for substance abuse. Settlement of Wrongful Death Claims, including asbestos claims. Sue SA. Sokolowski has been certified by the Ohio State Bar Association as a specialist in Estate Planning, Trust and Probate Law. Sandra Watkins Cleaver and Sue A. Sokolowski have many years of experience with the probate process and will provide timely and cost effective services to meet your individual needs. In addition, our compassionate and caring office staff is available to assist you during the difficult time after a death when assets must be identified, business affairs settled, debts paid, necessary tax returns filed, and the assets ultimately distributed as directed by the will or by law. With the appropriate help and guidance of our office, you can do a good job, and have the comfort of knowing that you have served your loved ones well.